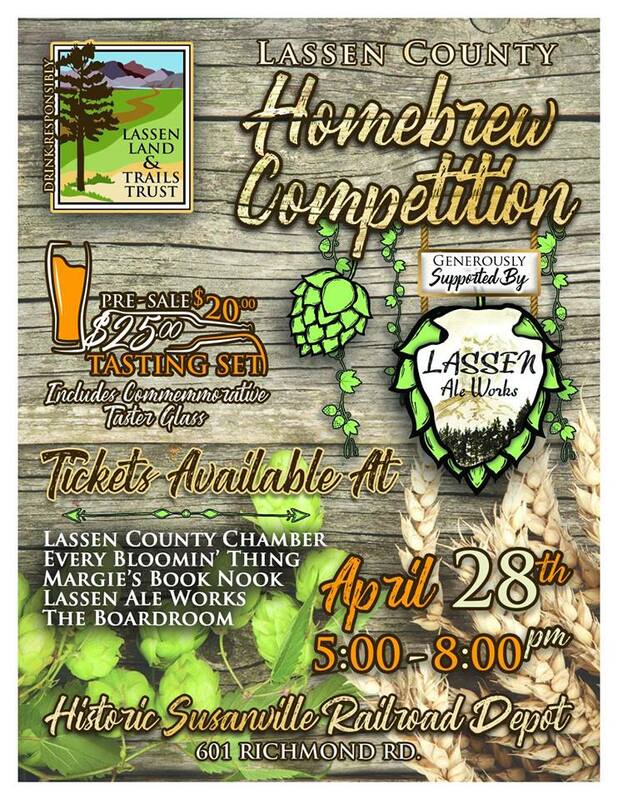 2nd Annual "Lassen County Homebrew Competition"
The Lassen Land and Trails Trust is hosting its 2nd Annual “Lassen County Homebrew Competition” to support activities in conservation, working landscapes and trails. Homebrewers can enter the competition for a $10 fee per entry. Brewers can enter any category of beer. They must provide at least three gallons of beer for judging and public tasting for each style of beer they enter. Beer tasting and judging will be held Saturday, April 27, from 5 to 8 p.m., at the Historic Susanville Railroad Depot, 601 Richmond Rd. Tickets are $25 in advance and $30 at the door. Advance tickets are available at the Lassen County Chamber of Commerce, Every Bloomin’ Thing, Margie’s Book Nook, and the Lassen Ale Works Boardroom. Participants will enjoy pub snacks and a brat bar, and receive a commemorative tasting glass. Join us as we showcase the region's premiere trail system with the 24th Annual Paiute Meadows Trail Run! The 4.5-mile course is the cornerstone of all race distances, while the 50K and Half-Marathon (13.7 mi) deliver an experience to rival any course, anywhere. Exclusively on single-track trails, runners experience breathtaking views, fully-stocked Aid Stations, excellent race swag, and a first-class finish line party! 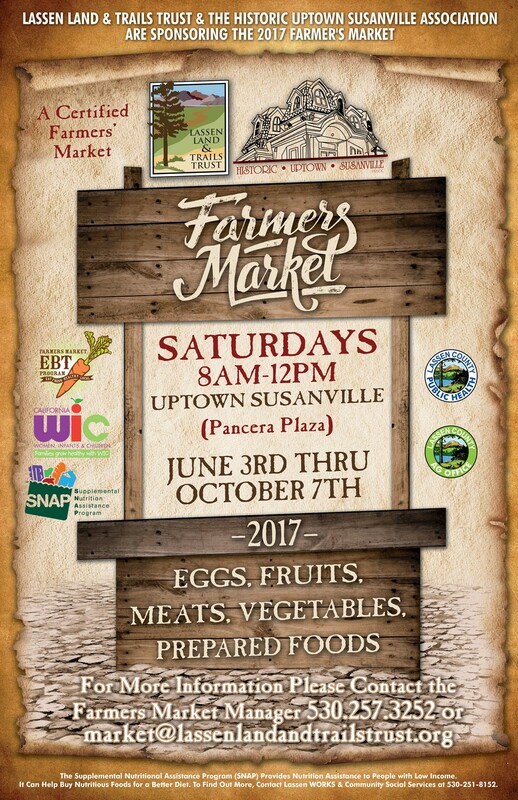 Don’t miss this opportunity to be a part of a great Lassen County tradition! Whether you show off your chili and salsa recipes in the Cookoff, participate as a craft or food vendor, or join us for a day of fun in the sun, plan on joining us for the annual Rails to Trails Festival! Join us on Saturday, January 26 for our Ski/Soup event, where you can enjoy a variety of homemade soups at the Depot starting at 5:30pm! Soup dinner is a $10 donation per person ($5 for 12&under), and there will also be a no-host bar available. Those who are looking for some extra activity in the morning are welcome to join for an adventurous cross-country ski trip to Butte Lake, led by member and supporter, Phil Finkel. Participants will carpool to the starting point, and will meet at the Depot at 8:30am. This trip is 13 miles round-trip, and participants need to bring water, snacks and lunch. Please pre-register for the ski trip by calling (530) 257-3252 or email Amy. 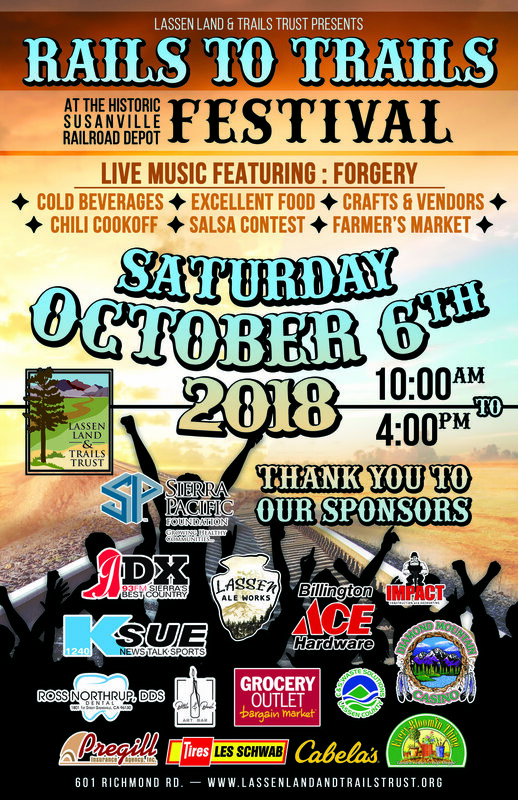 Lassen Land & Trails Trust’s 3rd annual Farm to Table Dinner will highlight the local farms, ranches, and gardens of Lassen County. A summer day camp for children who have completed grades 3 through 6, this is not your average day camp. This is adventure camp! Children discover all that make their Lassen County home unique. Each day at camp, staff and regional natural resource professionals take campers hiking, climbing, swimming to learn about the hydrology, wildlife, ranching, and farming heritage, botany, archeology and geology of our region. Curriculum is designed to complement the state’s core curriculum for elementary school. Lassen Land and Trails Trusts’ Nature Camp is ‘hands on’ learning at its best! Join Lassen Land & Trails Trust for an evening of live music and locally-produced beers at “Ales for Trails: Garage Party,” a fundraising and membership drive event. Thursday, July 26, from 6 to 10 p.m. at the Lassen Ale Works Boardroom on Johnstonville Road. Tickets, which include dinner and two beers, are $25 for general admission and $20 for LLTT members. New members who join the LLTT at the $50 level or higher receive one free ticket. Under 21 tickets will be available at the door. 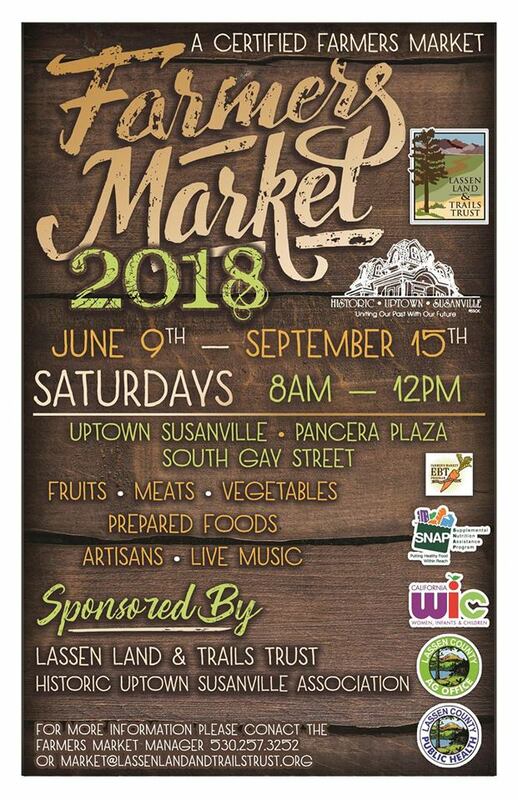 Music for this “Garage Party’ will be provided by Susanville rock band Rockasaurus and Uptown Brass, an ensemble of musicians from the Susanville Symphony Orchestra. Susanville's Lassen Ale Works and The Brewing Lair of the Lost Sierra, a Blairsden organization, will provide a wide selection of various beer styles. Tickets are available at the Boardroom, by calling the Depot at (530) 257-3252, or online below. Start the day out with an adventurous cross country ski outing to Butte Lake, led by Phil Finkel. This is for the tried and true cross-country skier. It’s a 13-mile round trip. Please pre-register by calling (530) 257-3252, dress appropriately and bring water, snacks and lunch. Participants will meet at the historic Susanville railroad depot at 8:30 a.m.
Everyone is welcome at the Historic Susanville Railroad Depot at 5:00 p.m. for an array of hot, homemade soups, breads and cookies. Just want to eat out? Well, then simply come to the depot for dinner. The ski trip is free registration. The soup dinner is for a $10 donation per person and a $5 donation for children 12 and under. While filling up on great soups, enjoy a no-host bar.